Bello Dental Associates Blog How to Clean my Dentures? 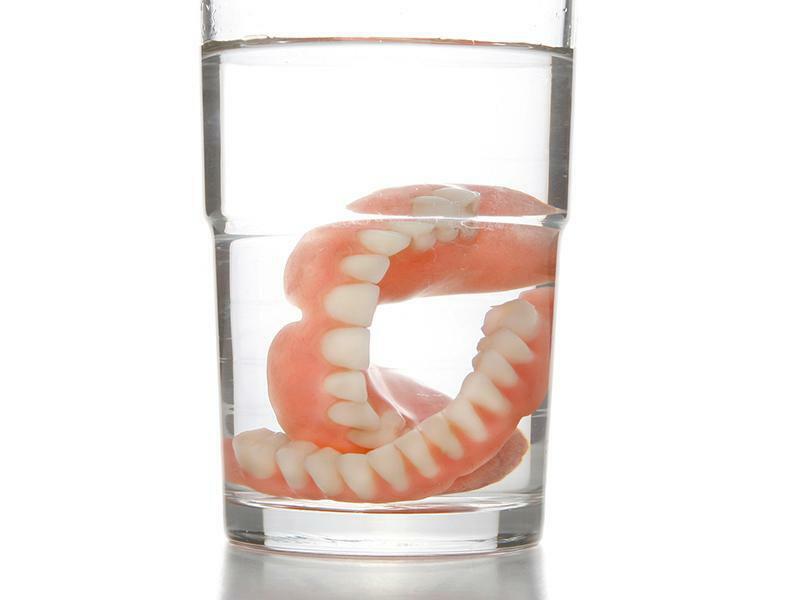 Dentures require as much care and attention as much as our natural teeth do. You must clean your dentures regularly in order to keep them looking clean and extending their lifespan. Read on to get some easy tips on cleaning your dentures and keeping your smile sparkling as always! Dentures can be cleaned using special pastes and cleansers that are specially made for the purpose of cleaning dentures. However, such products are expensive and if you are looking out for an alternative solution, then using household soaps that have antibacterial agents can do the trick for you! All you have to do is apply some of it on a toothbrush with soft bristles and using lukewarm (not hot) water, gently and thoroughly clean your dentures. There are special brushes that are easily available in medical stores for the purpose of cleaning them. They are generally inexpensive, but if you can’t lay your hands on one of these, then a soft toothbrush should also do the trick. Many of us have the tendency to use toothpaste to clean the dentures. However, toothpastes contain mild abrasives that scrub away on the surface of the teeth, fighting the stains and cleaning them. These abrasives can be used for our natural teeth as they are protected by enamel, but the dentures are made up of a softer material and using toothpastes to clean them may not be the best idea. Slight scratches in the dentures can provide a hiding place for the bacteria that will be responsible for creating a foul odor from your dentures and can lead to problems such as discoloration as well. Another tip that we have for you is that you must line the washbasin with a towel as you clean your dentures. This is because you have high chances of breaking your dentures if they fall in a porcelain basin. So using this strategy can help you avoid such unpleasant accidents. You could also try an ultra sonic cleaner that is easily available in several housewife shops at an affordable price range. This is a good option as an ultrasonic cleaner can reach difficult areas of your denture where brushes cannot, by emitting strong sound waves. Another good option is to remove your dentures overnight. This is because dentures are not meant to be worn all the time as it can lead to loss of the jawbone that supports the dentures along with different kinds of oral infections. Another advantage by taking them off is that you give your saliva that chance to naturally clean your mouth as you sleep at night. Don’t use your hot water to clean your dentures. Lukewarm water should be fine. Keep your dentures in a place where children and pets cannot reach them. Pets have a notorious reputation of chewing on your dentures. Never use bleach to clean your dentures. It doesn’t belong in your mouth. Bleach can also whiten those areas on your dentures which need to look naturally colored like your gums. Even though you don’t have all your teeth, you must still use a soft toothbrush gently on your tongue and the roof of your mouth in order to maintain proper oral hygiene.